A Post-processor element is executed after a sampler request has been made. If a Post-Processor is attached to a Sampler element then it will execute just after that sampler element runs. A Post-processor is most often used to process the response data, for example, to extract a particular value for future purpose. 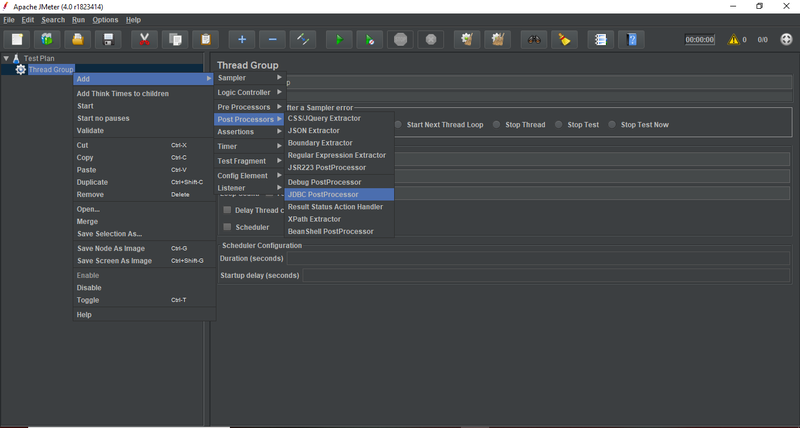 The following image shows how you add a Post-processor element to your test plan.